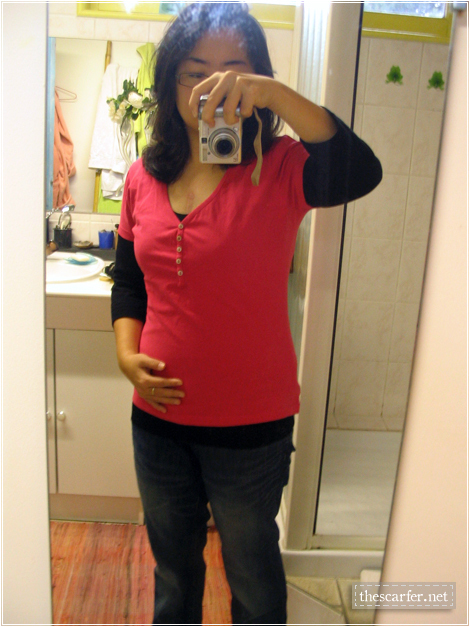 Home » General, Pregnant Already	» Belly shots @ 10 weeks! Belly shots @ 10 weeks! For those of you who have been wondering, this is me sporting a 10 week baby bump topped off with freshly cropped hair (well, more like trimmed actually) and fresh from a food poisoning bout which knocked 2 kilo off the scales. 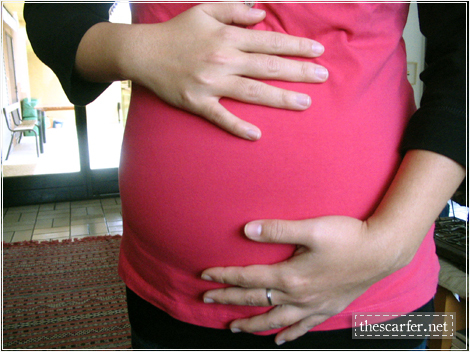 It’s unbelievable how much water the body stores during one’s pregnancy! So yes, believe it or not, at 11 weeks, I’ve just put on 1.5 kiloes…which everyone, doctor or common folk alike, say is good. Anyway, our first prenatal clinic is today and I’m quite excited really. Can’t wait to add to the ultrasound “wall” and all!